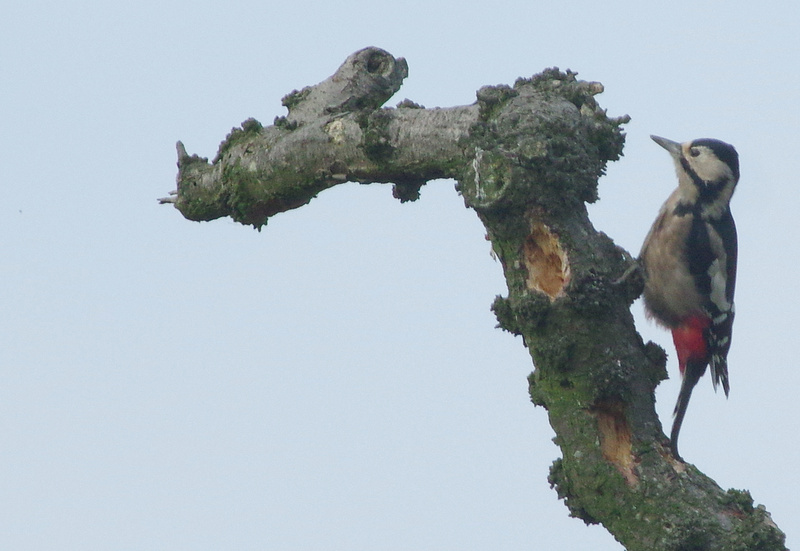 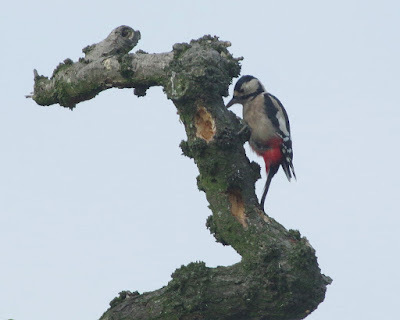 Birds of the Heath: Great Spotted delight! 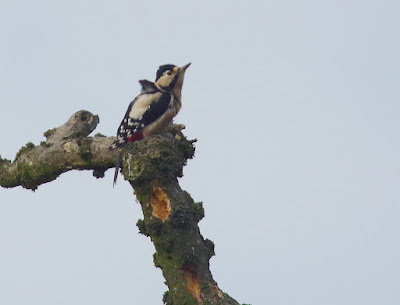 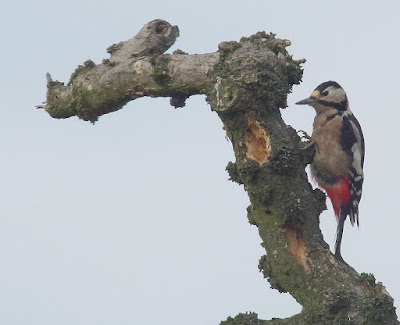 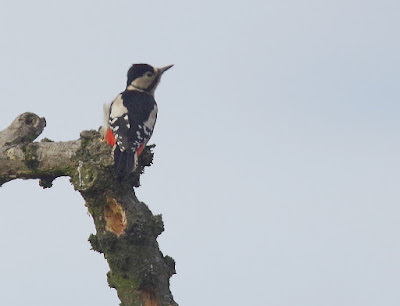 A pair of Great Spotted Woodpeckers have recently become frequent visitors to the garden: they rarely come to the feeding stations, but often peck away at the large oak and sycamore trees I can see from my office. The female spent half an hour headbanging in the oak: you can see two large areas that she excavated!